The Purple Scarf: Happening Weekend: It's an All-Star Long Weekend! Happy Weekend! We have finally reached the first long weekend of 2016! And not only is it a long weekend, but it is also Valentine's Day on Sunday. I wish I could say I wish I was in Toronto to help celebrate this long weekend but today I'm climbing Machu Picchu in Peru! I'm in the first part of my South American adventure and it has been amazing! But you don't have to leave Toronto to have fun. There is lots to do around the city this weekend to help you celebrate this Family Day long weekend. If you are a basketball fan, than you will be in heaven as the NBA All-Star event comes to town this weekend. There will be plenty of celebrity games and sports events as well as plenty of special night events and parties happening across the city. Saturday is DJ Skate Night again down at the Harbourfront and is a great way to spend time with family and friends without spending a lot of money. The Toronto Black Film Festival is in full swing and runs until Sunday. Enjoy films, talks, and workshops at Carlton Cinema. Three great art exhibitions are happening at three fabulous venues: the free Deliberately Ambiguous at The Harbourfront Centre, Lyn Carter: 11th Line at The Textile Museum of Canada, and Viva! Mexico at the ROM. Winter Stations begins this weekend down at the beaches. I loved last year's installations so I'm looking forward to checking out this year's when I get back from my vacation. Wavelength Music Festival takes over The Garrison this weekend. An all access pass is just $39 and you get to hear some great Canadian Independent music from Friday to Sunday. Enjoy some cool Jazz music among the fishes on Friday! Ripley's Aquarium is hosting a live Friday Night Jazz performance from 7pm to 11pm. P.s! 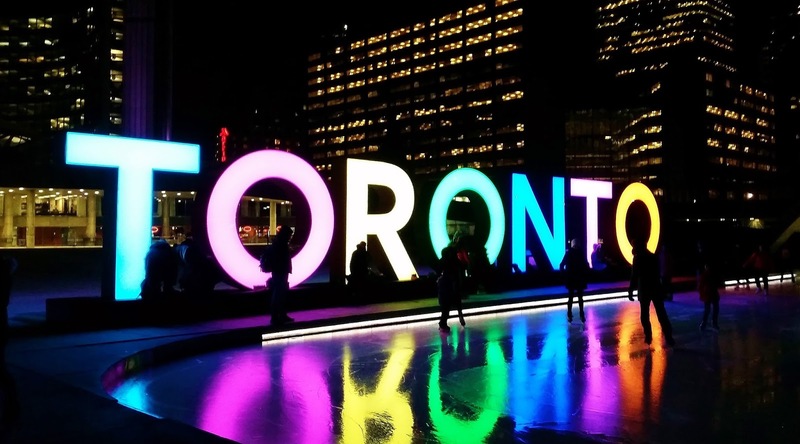 : I've been off the grid for the past several days and will be for the next two weeks, so I don't have a complete listing of what's happening in Toronto this weekend. I also will not be posting a Toronto Weekend Events Listing post for the next two weeks. Please visit BlogTO and Toronto.com to find more Toronto events and happenings! And I'll be back to share my top picks for the first weekend in March, which so happens to be my birthday!